Supply power to digital Neumann microphones. The audio signal available in AES/EBU format. 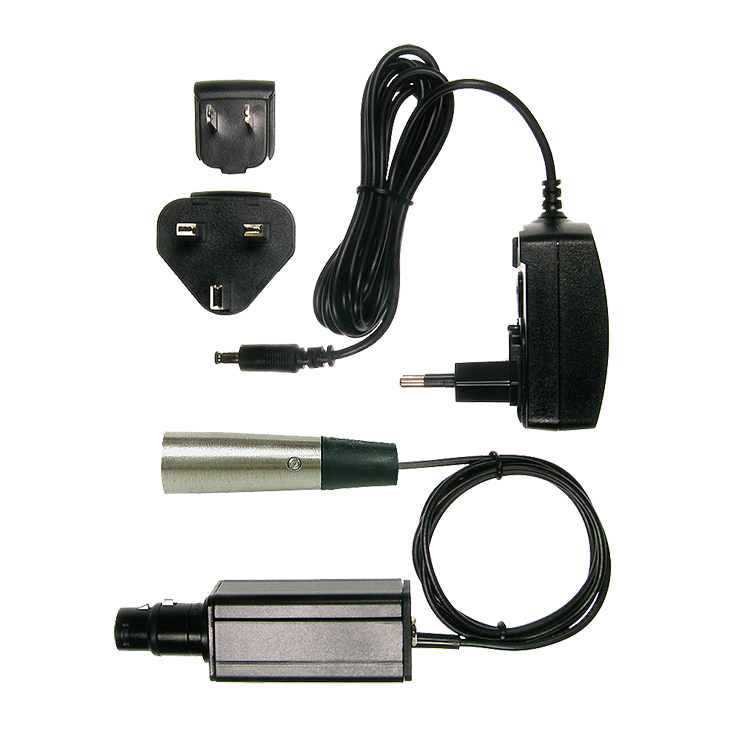 The Connection Kit serves to supply power to digital microphones, which are in accordance with the AES 42 standard. The microphone audio signal is made available at the Connection Kit output in AES/EBU format. The remote control and synchronization capabilities of the AES 42 standard cannot be used with the Connection Kit; they are operable only with the DMI-2 or DMI-8 digital microphone interface.